Keeping chickens laying through out winter is a tricky task. It takes a bit of hard work, but by taking the right steps, you can keep your flock in business and still eat omelets for breakfast. In this episode of What The Cluck?! we look at 5 steps you can take to keep your chickens laying through the winter. The one thing you shouldn’t do. 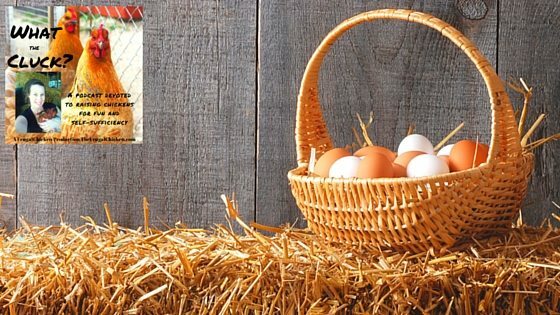 Do you try to keep your chickens laying through the winter? What’s worked for you? What hasn’t? 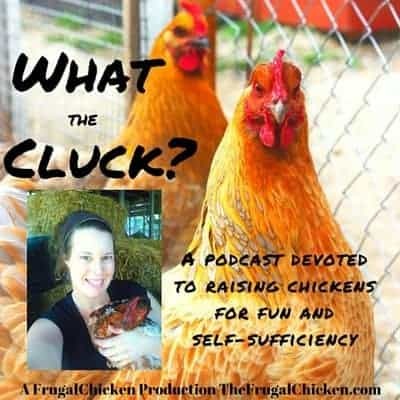 Email me at editor@thefrugalchicken.com or comment below! My hens aren’t using their regular nesting box, but are laying in several places in the coop. I’ve put a box with a bit of hay and they used that but I want them to use the old one so I don’t have to enter the inside coop. Any suggestions? I tried putting an alabaster egg and even a golf ball in the original nest but…. I’ve had luck putting actual eggs in the nesting boxes, in addition to what you’ve tried. They get the idea that another hen has used the box, so it must be wonderful. You can also try making the old nesting boxes dark. Herbs such as lavender and mint help with stimulating laying. So, you can try mixing dry or fresh herbs with the hay as well as putting eggs in the boxes.